I am so excited to bring you my very first blog series this week! 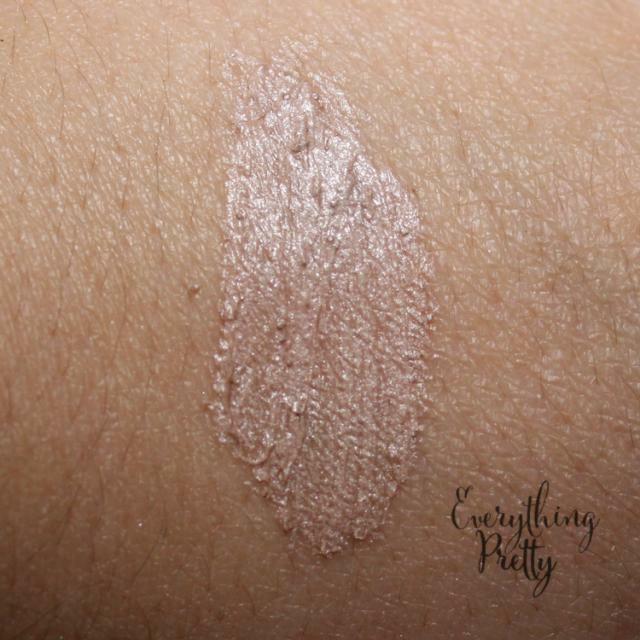 I've had some requests for cream eyeshadow, so I tried four popular recipes. I'll post one recipe and the results each day and then Friday do a recap. 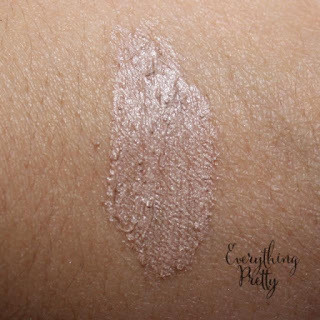 If you don't want to miss my cream eyeshadow recipes, be sure to sign up for my newsletter. I had planned on making everything this morning, then I woke up to this. Needless to say, the kids have a snow day! My daughter got to help and begged to try out the eye shadow. Not for a few more years, Miss 7-year-old! I did, obviously, get them done, but I had to do while sharing a table with "starving" kids. How do they go an entire day at school without eating?? I'll start with the easiest recipe and then go to the more difficult ones. This one is very, very easy and gave me great results. Links in this post may be affiliate links, which means that I earn a small commission on sales. Thanks for supporting Everything Pretty. Break up the eyeshadow and pour it in to the jar. I used a spoon for this and just tapped it out in to the jar. The shadow palette I used held about 1/4 of a teaspoon of pressed powder. You can combine one or more shades to get the perfect shade. Just mix them very well at this point and break up the chunks. Add lotion and stir well. I used about 1/4 of a teaspoon of lotion to start and then added a little bit less than that. I used a cotton swab to mix them, but you could use a spoon. You can use any unscented white lotion. I used a vitamin E lotion because the extra vitamins will be good for my eye area. I really, really like this recipe. It was very easy to make and only took maybe 5 minutes, including finding all of my supplies. I didn't have to gather a bunch of ingredients to make it either. It glides on your skin very smooth. It has good coverage and lasted longer than the powder does by itself. Overall, this is a great recipe. I have to say that I was very impressed that such an easy recipe could give good results! 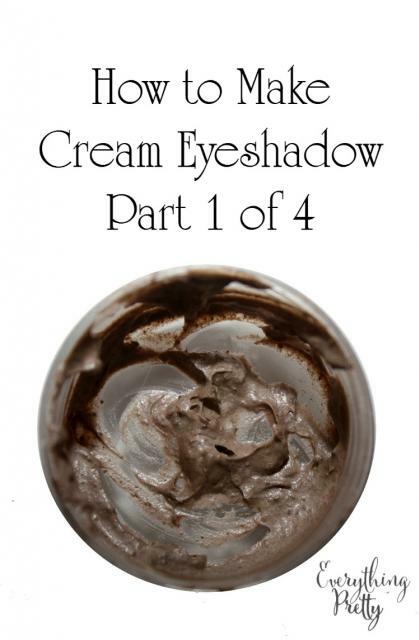 Be sure to come back tomorrow for another cream eyeshadow recipe!